Poole’s Rock Choir will be performing at the Dolphin Shopping Centre on Saturday November 29. From 12.30pm, members of the 60-piece choir will entertain shoppers with a collective mix of festive music in the centre’s main plaza. CBBC presenter Ed Petrie delighted visitors gathered at Tower Park when he switched on the leisure complex’s 20ft Christmas tree. Designed by experts in Christmas décor The Christmas Decorators, the tree is a sparkling tower of lights reflecting the magic of Christmas. Guests at the switch-on were also treated to a sing along carol session with children from the Centre Stage School of Dance and Performing Arts. Ed Petrie, who stars in this year’s Poole Lighthouse pantomime as Robin Hood, joined the children in singing a chorus of uplifting Christmas songs, including Jingle Bells and Disney’s popular ‘Let it Go’ from the smash hit film Frozen. Managing director of The Christmas Decorators, David Britton, commented: “It was a joy to see so many people enjoying the tree and to have one of our installations switched on by CBBC’s Ed Petrie, who is a fantastic choice for Poole Lighthouse’s Robin Hood in this year’s pantomime. Staff from Poole’s Marks and Spencer will be running a unique pop-up-shop at the Dolphin Shopping Centre on Wednesday November 19 to raise vital funds for local children’s charity, Gully’s Place Trust Fund. Gully’s Place Trust Fund, which is run by Poole Hospital Charity, was set up in 2013 to support the 400 infants, children and young people in Dorset who have a life-limiting or life-threatening illness. Volunteers from Marks and Spencer and Gully’s Place will hold a fundraising stand selling Christmas gifts and specially commissioned bags made by the deaf health charity, Sign It. Sign It employs disabled people who make unique, one-off bags from donated scrap material. Poole’s Sunseeker is one of the organisations who regularly donate material. Lin Sheppard, Marks and Spencer charity champion, said: “If you’re looking for a Christmas gifts these bags are the perfect present, they are truly unique and all the money raised will go towards Gully’s Place. Poole Hospital charity fundraising manager Pamela Bell, added: “This is a great collaboration by Marks and Spencer to support local charities and we are delighted to be working with them and Sign It to raise funds for Gully’s Place and to promote the great work that Sign It do providing employment for local disabled people. Years of Poole Christmas tradition has come to an end, after town centre chiefs decided to scrap this year’s yuletide Santa Parade on health and safety grounds. T housands of residents, many of them young children, normally line the route from Poole Quay to the town’s Dolphin Shopping Centre, eager to catch a glimpse of Santa as he’s dropped off on the quayside by the town's lifeboat. But this year, in a move condemned by many residents, Santa has been barred from making his town centre journey amid ‘safety concerns’. Dolphin Shopping Centre manager John Grinnell explained: “Our Santa parade has been one of the most popular events in Poole, and we’ve loved putting it on every year. “Sadly, however, we’ve become a victim of our own success. As we’ve seen the numbers swell every year, we’ve become increasingly concerned about the volume of people in such a confined space, especially around moving vehicles. Earlier today, the Poole Lifeboat crew tweeted "Unfortunately we will not be delivering Santa to Poole Quay this year." Local talent TARA FLANAGAN just one step from National Grand Final! Tara Flanagan from Poole wowed the crowd and judging panel at the Open Mic UK Regional Showcase, and is now one step away from performing at the National Grand Final. Tara is now set to perform at the Area Finals at Ferneham Hall in Fareham at 4pm on Saturday 29th November. The Area Final Showcases will provide acts with the opportunity to impress many guests from the music and entertainment industry. In recent years the Grand Final has seen A&R representatives from the three major record labels – Sony Music Entertainment, Warner Music Group and Universal Music Group all present. A team of eight from Humphries Kirk, solicitors, completed The Rotary Dorset Bike Ride raising more than £400 for Cancer Research. All funds raised from the September event went directly to Cancer Research, a charity which seeks ways to prevent, diagnose and treat cancer. The team, which included employees from the Humphries Kirk solicitors Bournemouth office as well as in Crewkerne, Swanage and Dorchester, cycled a total of 180 miles across the Dorset countryside. Jackie Whitton, Swanage business development manager at Humphries Kirk, cycled 30 miles in the event. She said: “After taking part last year I was excited to be able to do it again and it’s great that more of my colleagues joined in. An authentic reconstruction of an ordinary Roman citizen’s home in the UK has been destroyed in an arson attack, on the popular Roman House at Upton Country Park. Police are currently investigating the matter as a malicious incident, the second such attack at the popular park in 16 months. A wooden harbourside bird hide was destroyed by fire in July 2013. Following the success of its photographic competition with Bournemouth Daily Echo in 2012 and 2014, Poole Harbour Commissioners (PHC) has unveiled a unique gallery exhibition of 50 images representing the diversity of Poole’s beautiful harbour. The exhibition is now open to public at the Top Floor Gallery on the second floor of the Lighthouse and will run until Saturday November 15. Response to the competitions was so significant that PHC felt that running an exhibition with some of the photographs was a natural extension to showcase the images to the local community. The photographs capture all aspects of harbour life, from boating, watersports and commercial port activities to wildlife and fishing. The high quality submissions are from local residents of all ages and backgrounds, and highlight the delicate balance between nature and human activities, which PHC seeks to achieve through its day to day work. There will be a refit to the ferry in 2014 which is planned to start during week commencing 3rd November. It is expected that the ferry will be out of service for 4-5 weeks with all efforts being made to keep the inevitable disruption to the minimum and return to service as soon as possible. Poole-based family attraction, The Ark, has unveiled plans for an exciting Christmas Grotto in Poole Park, which will delight children in more ways than one. The Ark will transform Poole Park’s cricket pavilion into a magical winter log cabin, home to Father Christmas and his elves from 27th November to 24th December 2014. Funded by The Ark, the grotto is operating as a not-for-profit initiative, with all profits benefiting Fernheath Play, the Bournemouth-based charity which provides specialist free play and short play breaks to fully able and disabled children. Billed as an enchanting, quality, Christmas Grotto experience, The Ark is hoping to put the magic back into Christmas for local youngsters. Children visiting the grotto will meet Father Christmas and his elves, receive a special gift and enjoy a supervised craft activity such as creating magical reindeer food. The Ark opened in December 2013 following an investment of more than £1.4million by local couple Richard and Sarah de Lisle. 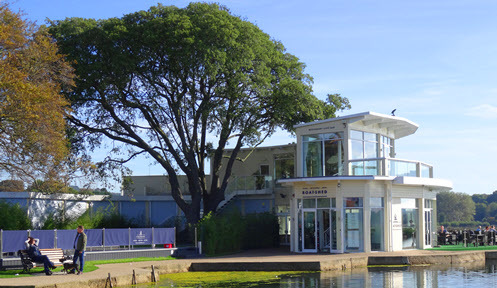 Since opening, it has become one of Poole’s most popular family destinations, highly regarded for its impressive facilities including a bespoke soft play area, café, ice cream parlour and ice skating rink. The Ark Christmas Grotto: tickets cost £12 per child. Pre-booking is essential. Luxury local yacht maker Sunseeker International has announced it could shed up to 300 jobs in Poole by Christmas. The shock news came on Friday afternoon as bosses told staff the outcome of a "strategic review aimed at increasing efficiency". The company – which employs around 2,500 people in the town – says it is streamlining ‘non-core’ activities and investing in bringing new models to market more quickly and insisted it was "100% committed" to continuing UK production. Guests visiting Tower Park this winter will be awed by a new, giant Christmas tree designed especially for the complex by festive experts The Christmas Decorators. Used by celebrities such as Coleen Rooney and Mariah Carey, The Christmas Decorators offer bespoke indoor and outdoor Christmas decorations for homes and businesses. Tower Park’s specially designed tree is planned to be over 20ft high and will stand proud amongst the complex’s other attractions such as the Splashdown water park and swimming pool, Empire Cinema, Bowlplex tenpin bowling, kids soft play, bingo and range of restaurants. Based in Shaftesbury, the family-run, new regional branch of The Christmas Decorators is manned by David and Amanda Britton and Piers Brown, who are experts in Christmas theming from nostalgic Victorian themes to glittering winter wonderlands with lights, garlands and wreaths. Buckholme Towers School and Nursery, an independent preparatory school in Lower Parkstone, is set to open its doors to the public on Saturday October 18. From 10am to 12pm, families will have the opportunity to have a guided tour of the school, which is in its 75th year, and to meet the headmaster and teaching staff. I ain Robertson, headteacher at Buckholme Towers School and Nursery, said: “Our open morning is an opportunity to see the school in a less formal setting. Our friendly and knowledgeable prefects and staff will be on hand to show people round, while doing their best to answer any queries. Based on Commercial Road, in Poole, the school is currently offering a limited number of scholarships to internal and external candidates at entry to Years 3, 4 and 5. The school is renowned for its small class sizes and excellent examination results to grammar and secondary schools in the area. Hamworthy Heating staff racked up an impressive 442 miles in a local cycle challenge designed to encourage employees to get fit and help the environment. Matt Jewell, Naomi Sneade and Rachel Dewar, who all work at the commercial heating solutions firm in Poole, swapped car journeys for cycle rides to work as much as possible throughout September after signing up to the Momentum Cycle Challenge. The free competition inspires teamwork, inviting colleagues to encourage each other to sign up and contribute to the number of miles cycled by employees as a whole. Miles cycled by staff are logged online, with prizes for the companies recording the most miles in a month. Matt Jewell, who banked an impressive 180 miles on behalf of Hamworthy Heating, said: “Riding a bike is a great way to start the day, it wakes you up and it helps the environment, so everyone’s a winner. Patrick’s Restaurant, Bar and Event Catering in Poole has reported an increase in popularity for its event catering service during 2014. Bookings have doubled since autumn 2013, and with enquiries coming in thick and fast for next year, the Ashley Cross establishment is confident that 2015 will be another successful year. In order to provide the best possible event catering experience for its customers, Patrick’s works closely with a variety of local businesses and suppliers, including hog roast company Tasty Pig and its regular restaurant suppliers. Looking ahead, the restaurant is hoping to work on building more close relationships with producers and suppliers, in order to benefit each other. The team will also offer their pop-up barbeque catering at local events including Wimborne fireworks display, a fireworks display at Castle Court school and at next year’s Party In The Park. Local talent Tara Flanagan through to National singing competition! 18 years old Tara Flanagan from Poole has made it through to the Regional Finals of the prestigious OPEN MIC UK singing competition and will now be performing in the live showcases of the competition at Fareham Hall in Ferneham on Saturday 11th October at 4pm. Thousands entered, but Tara made it through the audition stage and will now take part in a live head-to-head battle alongside the best talent in the region, performing in front of hundreds of audience members and a music industry judging panel in their bid to win a place at the National Grand Final. Open Mic UK 2014 is the biggest search for unsigned talent in the UK, and travels the country every year in search for the UK’s best singers, singer-songwriters. Over the years the competition and Future Music have discovered some of the best new talent and propelled them to the big stage, working closely with Sony, Universal, Warner and Syco. Tara’s been singing seriously since the age of 10. She has competed in competitions such as the Worldwide Competition Music Immersive, Talentcall and Starsensations where she has been a Grand Finalist. This summer she sang at the Bournemouth Food and Drink Festival. Judges feedback from her Open Mic UK audition included – “Great vocal/ guitar combination”. Tara’s E.P is due to come out early 2015! This coming weekend the Dorset coast will host the second Bournemouth Marathon Festival which will see a team from family-run watersports company, Rockley take part in the half marathon to raise money for Julia’s House. Rockley recently announced the Dorset based children’s hospice, Julia’s House as the company charity and the half marathon is the second event of the year that is being used as a fundraising opportunity for their chosen cause. The team of eight, made up of Rockley MD, staff and friends and ranging from first time distance runners and experienced racers, will complete the half marathon which takes in both Boscombe and Bournemouth Piers. Rockley supporters will be based at the Riva Café in Southbourne where runners will pass at the three, five and seven mile sections, and also at Bournemouth Pier for the finish. You will be able to spot the team among the hundreds of runners taking to the streets on Sunday, look out for their bright blue Rockley/Julia’s House running vests. A recent 50 mile bike ride, half marathon, 100 mile bike event in the New Forest and Novembers’ Bitter Beast are all part of Rockley’s aim to do more together to stay healthy and fit and raise funds for Julia’s House*. From science experiments and geography challenges to sports demonstrations and art workshops, there’s something for everyone when Poole’s Carter Community School opens its doors to prospective students and their parents on Thursday 2nd October. Based in Blandford Close, Hamworthy, the school’s Acting Principal Ms Sam Davidson, students and staff (including the Year 7 team) will be on hand to welcome visitors, providing guided tours and the opportunity to see the curriculum brought to life through a variety of exciting demonstrations. Activities include a photo booth and print workshop, Geography ‘Under Pressure’ challenge, weird and wonderful science experiments, free food samples in the dining hall and a variety of sports demonstrations. “Choosing a secondary school is such an important decision. Evenings such as this provide an opportunity for children and their parents who are currently making that choice to see for themselves the wide variety of learning that goes on at Carter on a daily basis. Being able to talk to children who are already at the school, meet teachers and experience what goes on in our classrooms means they get a real feel for why our students so enjoy their learning here". Patrick’s Restaurant, Bar and Event Catering in Ashley Cross will be hosting a golf day on Tuesday September 30 at Broadstone Golf Club in aid of Julia's House, the Dorset hospice which is dedicated to helping children with life-limiting conditions. The fundraising event is open to anyone who’d like to support the charity and includes a full day of activity from 9.30am. The price is £65 per person (Broadstone members £30.00) and includes a bacon bap and coffee and a three course dinner at Patrick’s. In addition, there will be prizes for the winning teams of four. There are limited spaces available for the golf day. Call Patrick Michael direct on 07890 441317 to book. Owing to popular demand, Poole’s Dolphin Centre will be holding its second student shopping night on Monday September 29. In partnership with Student Shopping UK, the Dolphin Centre will be throwing open its doors from 6pm to 9pm to exclusively welcome students from across the region. Some of the biggest high street brands, including Topshop, New Look, Primark, River Island and Body Shop will be offering exclusive discounts, giveaways and competitions for one night only. As well as all of this there will be free samples from Subway, plus local pubs and bars, an eight lane scalextric track and live music throughout the night from Bournemouth and Poole's Dance and R&B station, Fire Radio, will be taking to the decks. Condor Ferries will transfer its service to the Channel Islands to Poole, because its previous base at Weymouth cannot cope with the new, larger high-speed Austal 102 vessels. A storytelling theatre company will be holding a free poppy making workshop for children and families at the Dolphin Shopping Centre on Saturday August 23 to commemorate the centenary of World War I. From 11am to 1pm, Poole-based company Valise Noire will be hosting a dynamic workshop called ‘Poppy Fields’ which will be held in the ground floor unit next to Thorntons. The Poppy Fields project incorporates the making of thousands of poppies while children are told stories of the First World War as seen through the eyes of two Red Cross nurses. Fire has severely damaged the Cafe Shore restaurant in the exclusive peninsula of Sandbanks in Poole, Dorset. Both the bar and upper restaurant at Cafe Shore on Shore Road were damaged and the peninsula was cut off while crews tackled the flames. At one point, there were eight fire engines at the scene, as well as support vehicles, and those living in neighbouring properties and flats above were evacuated. Shoppers in Poole had their first chance to do some bargain hunting in the new Salvation Army Trading Company Ltd (SATCoL) charity shop as it opened its doors at 78 High Street on Tuesday 29 July. After a special opening ceremony with The Salvation Army’s local Corps band in full swing, the shop’s team of staff and volunteers welcomed a crowd of customers. The shop sells everything from clothes and accessories to books and household items and opening sales from the shop’s first day of trading raised over £1,000. Profit from the shop contributes to The Salvation Army to help fund its valuable work throughout the UK and Republic of Ireland – including homelessness and addiction services, care for older people, help at emergency incidents and support for adult victims of human trafficking in England. Customers at the new shop’s opening were also offered one of SATCoL’s innovative loyalty cards. The free ‘re:ward’ card rewards customers each time they spend £5 in the shop or donate their unwanted items using one of the shop’s reuseable ‘re:bags’. Each time a customer spends £5, one side of their re:ward card will be stamped, with 10 stamps entitling them to a £5 credit to spend in the shop. On the other side of the card is the reward scheme for donations, which works in conjunction with a re:bag – a reusable black, white and red bag that can be bought at the shop for 99p. Each time a re:bag is brought into the store full of donations, a stamp to the value of £2 will be given. If you are interested in volunteering at the Poole shop please visit the shop at 78 High Street, open Monday to Saturday 9am – 5pm, or call 01202 675981 for further information. Many stars of the stage and TV have shown their support for a silent auction that is raising funds for two local Dorset charitable organisations; JAIO Art which supports and gives opportunities to young creatives through an art scheme that encourages skills growth and development in visual art and theatre. The other organisation to benefit is Poole based Julia’s House Children’s Hospice which is the only children’s hospice charity in Dorset dedicated to helping life-limited children and their families across the county and in South Wiltshire. Lavish Life in Westbourne is promoting the silent auction which has seen high profile stars such as Amanda Holden, Helen Mirren, Torvill and Dean and Flavia Cacace donate personal items. Amanda Holden who was brought up in Westbourne has donated a size 8 Kyri dress and Richard Shah shoes. Dame Helen Mirren who was awarded best actress at the Laurence Olivier Awards for her portrayal of Queen Elizabeth II in The Audience has donated a signed print and a pair of gold LK Bennett evening shoes and a signed photo. Ice skating stars, Jane Torvill and Christopher Dean, OBE showed their willing support by donating 2 signed photos. Fans of Strictly Come Dancing will be able to bid for Favia Cacace’s signed ‘Midnight Tango’ beige Latin shoes with diamonte clasp. Luxury jeweller Pandora has confirmed it will be opening a new store at the Dolphin Shopping Centre. The new signing is the latest in an on-going plan for the Dolphin Centre to attract to new brands to Poole. The Pandora boutique has signed a 10-year lease and will be positioned next to Thorntons. The prime retail unit will undergo a refit to unveil an 1100 square foot concept store, which is scheduled to open in mid-September. John Grinnell, centre manager, said: “This new retail letting is exciting news for both Poole and the Dolphin Centre shoppers. Local musician Paul Kinvig, is set to showcase his eclectic talent this August bank holiday weekend at Patrick’s Restaurant, Bar and Event Catering, with an intimate acoustic set inspired by greats such as James Taylor, George Michael, Hall & Oates, Paul Carrack and Mike and the Mechanics. A singer/songwriter with more than 20 years’ experience, Kinvig writes songs that combine great melodies with meaningful, descriptive lyrics. Patrick Michael, owner of Patrick’s Restaurant, Bar and Event Catering, said: “For those wanting to listen to some great homegrown music during the August bank holiday, Paul Kinvig is the man to see. An artistic shop vinyl, which fills the window of a vacant unit on Falkand Square, has been unveiled by the Mayor of Poole, Councillor Peter Adams. The new vinyl showcases the talent of students at the North Light Centre for Art and Design. The project is the result of a close collaboration between the Borough of Poole and Bournemouth and Poole College in a bid to capture the diverse range of people living and working in the area. The photos are shot at a selection of iconic Poole settings and events. The images were initially showcased in February at a week-long exhibition at the Dolphin Centre and following such positive feedback they have now been incorporated into a more permanent display. This week sees the return of Harbour Lives, presented by Ben Fogle. Ben returns to the Dorset coast to catch up with the diverse mix of people living and working around Britain's biggest natural harbour, Poole. In the first episode, he joins a former lawyer on an early morning hunt for lobsters and finds out why he swapped a high-flying city job for life at sea. A local astrophotographer then takes Ben to one of Dorset's most iconic landmarks - Durdle Door - to attempt to capture the natural limestone arch in complete darkness, before the presenter discovers the secret behind the mining of one of the most important building blocks of Britain - Portland stone. Turlin Moor Luncheon Club in Poole opens its doors every fortnight to host a lunch event which is to support vulnerable adults and older people in the area. The popular event is hosted by St Gabriel’s Church in Turlin Moor and partnered and sponsored by Poole based charity, Prama Care. It is proving so popular with local residents that it is getting booked up in advance each time! The Luncheon Club recently made an appeal through its sponsor, Prama Care, for the need to fundraise to buy some much needed new equipment. Poole based Coleman Insurance Brokers willingly stepped up and donated £500. The Luncheon Club had no difficulty in deciding how the money would be spent and used it to purchase a dishwasher. Patrick’s Restaurant and Bar in Ashley Cross is inviting its customers to support the south coast’s local bands, by attending the venue’s live music events this summer. With a line-up of great gigs booked for the summer months, including a Bank holiday set by veteran singer songwriter Paul Kinvig, Patrick’s is ensuring the menu of live music is eclectic and will appeal to everyone. Rock and pop band Salamander will be playing twice in July and promise to shake up the ‘Status Quo’, with a fantastic mix of covers from bands such as Robert Palmer, Thin Lizzy and Status Quo, combined with a selection of more modern hits from the likes of Kings of Leon, Snow Patrol and Razorlight. This will be followed with a gig by musical duo Innocent Bystanders in August. Offering a unique sound, the band comprises Scottish singer Selina Hunter and pro-guitarist Frank Smithland. Finally, Paul Kinvig will complete the summer’s gig and showcase his song-writing talent reminiscent of greats such as James Taylor, with an intimate acoustic set in late August. Dozens of local residents have joined together to celebrate the 100 year old heritage of the world renowned Hamworthy Engineering Company. Hamworthy Heating and Wartsilä (formally Hamworthy plc) as well as John Zink Hamworthy (formally Hamworthy Combustion), were each born out of the world renowned 'Hamworthy Engineering Company' founded on Poole Quay in 1914. 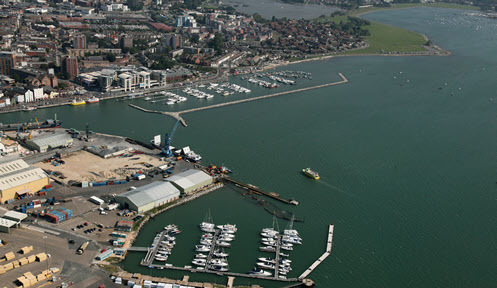 While three other sectors of the original Hamworthy company were sold and moved location, the Poole- based Hamworthy companies are still very much part of the Poole community*. Over 70 guests, including the Mayor of Poole, Fred Dinenage MBE and long serving members of Hamworthy Heating celebrated the 'Hamworthy Company' centenary at an event hosted by Wartsilä (formally Hamworthy) Water Systems. Guests were treated to a presentation and an exhibition of company memorabilia, which included information collected during a recent appeal for memories by Wärtsilä and Hamworthy Heating in celebration of their hundred-year-old roots. Technical Director at Hamworthy Heating Ltd, Bob Walsh, said: "The Hamworthy Company's success story is one we are very proud to be a part of and we are inviting the local community to share that pride by sharing their memories of the company with us, because it is their story as much as ours. "I'm sure if Hamworthy's founders Percy and Sidney Hall could see how their legacy has grown from one company on Poole Quay to over three global companies with worldwide renown, they too would be incredibly proud" Bob said. The memories appeal has seen three generations of local residents share stories about their own experiences with the Hamworthy Company, as well as those of parents and grandparents, giving a rich insight into how the people of Poole lived in decades past. 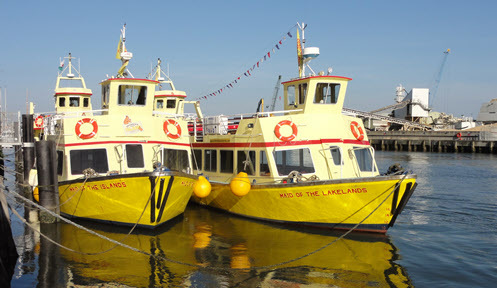 Stories have included a couple who met as colleagues at Hamworthy Engineering and got married on March 1, 1980, a gentleman who rowed Hamworthy staff across Poole Harbour to work in the morning and that during 1968 the ladies' toilet couldn't be used if the tide was high. Alan said: "Canteen facilities were provided, and Dad had lunch there during the week. The canteen was, I believe, on the first floor, and he and a work colleague walked out of the door after eating to go down a set of steps to ground level. Both Dad and his colleague were veterans of World War II, so you can imagine their surprise when they saw 'snow' everywhere, and uniformed German soldiers with helmets and rifles. "They spent a minute or so looking at one another in disbelief, in what appeared to be something of a time-warp, until they walked further on, and saw the bustling activity of a film crew. "At that time, West Quay Road had a railway track and a small steam train, which was used for shunting, and the film makers needed a small clip of the train, snow, and soldiers for the film." On the DVD, which is still available and sometimes shown on TV, it seems to be the one clip which was not filmed in Norway itself, and is a nostalgic reminder of Poole during that now long-lost era." Following its photographic competition at the start of the year, Poole Harbour Commissioners (PHC) has awarded its final competition winner, five-year-old, Molly Tasker. PHC’s Harbour Master, Brian Murphy, presented Molly with an iPad mini after she submitted a photo as part of the competition’s under-21 category. The four star rated, Harbour Heights Hotel on Sandbanks, Poole and the Chine Hotel in Bournemouth, part of the FJB Hotel Group, today announced that they have both received TripAdvisor® Certificate of Excellence awards. The accolade, which honours hospitality excellence, is given only to establishments that consistently achieve outstanding traveller reviews on TripAdvisor, and is extended to qualifying businesses worldwide. Establishments awarded the Certificate of Excellence are located all over the world and represent the upper echelon of businesses listed on the website. FJB Hotels are a family owned collection of four individual and luxurious hotels positioned along the beautiful South coast of England in Bournemouth and on Sandbanks in Poole. Winning the awards for the Group was Bournemouth based, The Chine Hotel; a three star establishment secluded in acres of beautiful gardens and only a few minutes’ walk from Bournemouth beach. Also scooping the prize is the Harbour Heights Hotel; a boutique style four star awarded hotel located in Sandbanks, Poole. A realistic scenario of a potential crisis incident was re-enacted at the Port in Poole, hosted by Poole Harbour Commissioners in conjunction with Condor Ferries, Borough of Poole, and all the emergency services. The exercise was a first for Poole where three emergency situations were tested in succession: evacuation of a ferry, full decontamination, and survivors’ reception centre. 36 actors representing the passengers on board a Condor Ferries vessel were sourced by the Casualties Union, a voluntary organisation which works with the emergency services. Two dogs also played their roles, including one assistance dog. More than 160 people were involved in the scenario overall from Poole Harbour Commissioners staff to representatives from the local authority, Dorset Police, Dorset Fire and Rescue, and South West Ambulance Service. The Wave 105 Cash for Kids team are thrilled to announce that following its superhero fundraising day more than £10,000 was raised for disadvantaged children across the south. Wave 105 Cash for Kids joined forces with a host of Tesco Express stores, schools, businesses and Wave 105 listeners across Dorset and Hampshire who all dug out their best superhero fancy dress to help fundraise and support the initiative. Wave 105 Cash for Kids charity manager, Gloria Hill, added: “We are totally overwhelmed by the support we received for our first ever Cash for Kids Superhero Day – it was a huge success! Wave 105 Cash for Kids believes that all children across the region should have the chance to live life to the full and reach their individual potential. The charity supports thousands of children from birth to 18 years old who are ill, disabled, underprivileged or who simply need extra care and guidance. This is done by providing grants to individual children, other children’s charities, community groups and health organisations. Last year Wave 105 Cash for Kids raised more than £520,000 locally and touched the lives of up to 17,000 children. Hamworthy Heating staff have committed to keeping a local wildlife reserve as nature intended for the second year running. The Poole based company, which makes commercial boilers, is situated just yards from local beauty spot Hatch Pond and formed a staff ‘Pond Watch’ team in August last year. This May will see the 10 strong troop join forces with Poole Borough Council for a second year, helping to litter pick, water plants and keep an eye on Hatch Pond’s diverse array of wildlife throughout the summer months. As well as being home to mute swans, great crested grebes and bitterns, the wildlife reserve is also a favourite haunt for fishermen and hosts an oak tree planted by children from Canford Heath Middle School to mark the Queen’s Jubilee. Staff at Hamworthy Heating are granted time to assist with the ‘Pond Watch’ scheme during work hours as part of the company’s corporate social responsibility (CSR) programme. For those interested in inviting Hamworthy Heating to support local projects aimed at improving the environment are invited to email ellie@lizleanpr.co.uk. Fashionistas prepare, the Dolphin Shopping Centre is getting set for its Poole fashion event – a whole weekend of free styling tips, catwalk shows and beauty advice to help shoppers achieve their summer look. Taking place on Friday May 30 and Saturday May 31, between 11am and 4pm, shoppers will be able to view the latest summer styles and holiday season looks from the centre’s leading brands including Beales, M&S, Next and Primark to name a few. In addition to the scheduled fashion shows, there will be competitions throughout the weekend, special offers plus The Body Shop and Beales will be on hand offering make-up and beauty advice so visitors can indulge themselves and relax with a range of treats available. Centre manager, John Grinnell, said: “We have previously held fashion show events and think they are a great way to engage with our shoppers. They provide retailers with a good way to showcase what they have on offer for the season. Our retailers are really behind the activity and we have some great high street names supplying garments for the catwalk. Hamworthy Heating is asking local people to come forward with their memories of the company’s history. The national commercial boiler manufacturer, based in Fleetsbridge, Poole, will be celebrating its 100 year old roots in June this year and is gathering stories and photographs about the company’s heritage. Opened in 1914 by founders Percy and Sidney Hall, ‘Hamworthy Engineering Company Ltd’ has played a large role in shaping the economy of Poole as we know it today. 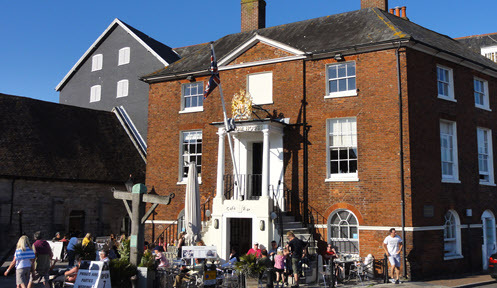 Originally housed on Poole Quay, the business quickly built a worthy reputation for high quality products, selling pumps and compressors for use in marine engineering – a side of the company that expanded rapidly during the First and Second World Wars. The exceptional standard of products earned the firm one of the first Admiralty ‘Class A’ certificates to be issued to any firm in Britain and allowed products to be accepted without further quality control checks. Post-war Britain saw the firm diversify products in order to thrive; joining with British Combustion Equipment Limited and providing oil-fired industrial installations – an innovative concept produced by the firm ahead of its time. New ideas and exceptional quality saw the company expand to larger premises on ‘Fleets Corner’ in 1954, where Hamworthy Heating’s Head Office remains today. During 1988 the rapid expansion of Hamworthy Engineering resulted in the company taking a fresh look at its diverse operations, which, although using related engineering skills, were each meeting different needs for different industries. From the original divisions came new subsidiaries, each one registered as a Limited company in its own right and the company known as Hamworthy Heating was born. Hamworthy Heating hopes to use the memories collected to create a special exhibition panel of the Hamworthy firm’s past. To submit memories, please call Ellie Cowley at Liz Lean PR on 01202 701828 or email ellie.cowley@lizleanpr.co.uk before Wednesday 30 April. 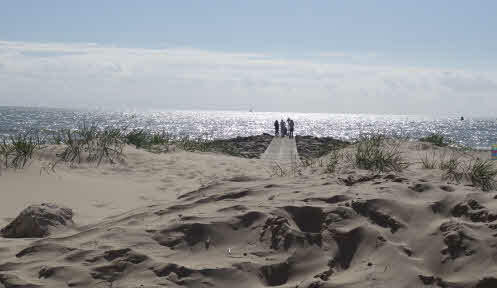 Part of the Big Beach Clean-up to clear litter on 140 beaches and canals Volunteers treated to an M&S voucher Marks & Spencer (M&S) is urging the Poole community to descend on Baiter Park beach to free it from litter as part of this year's Big Beach Clean-up. Taking place on Saturday 26th April 2014 from 12.30pm, the Big Beach Clean-up is hosted in partnership with the Marine Conservation Society (MCS) and invites local residents, businesses, universities and societies to join employees from M&S Poole to scoop up unwanted rubbish. Brie Logan, Store Manager at M&S Poole, said: "We're calling upon as many local people as possible to help us rid Baiter Park beach of litter. This is a fun initiative that will bring the Poole community together to help our local environment and protect our precious marine life." Volunteers across 95 beaches and 45 canals in the UK will this year join forces with the aim of clearing more than last year's massive haul of 30 tonnes of litter - the equivalent weight of two double decker buses.Most of the litter collected on Baiter Park beach will be common waste items such as fishing nets, ropes and bottles tops. However last year M&S beach and canal cleaners found an array of unusual items including a bath, coffee maker, HM Prison Service toothbrush and a Freeview box. Additionally, MCS will take the opportunity to assess the impact this year's storms have had on beach litter and debris at locations across the country. Last year over 9,000 people (4,000 M&S employees and 5,000 M&S customers) volunteered and collected 4,000 bin bags full of litter after cleaning over 300km of beaches and canals. Samantha Fanshawe, MCS Chief Executive, said: "This week of action is a great opportunity to clean up some of our best loved beaches and remove litter that has built up following recent storms. Rubbish washed up or left on beaches not only harms wildlife but spoils our enjoyment of the coast too, so the more people that take part the more litter we can remove from harm's way. Throughout the year, there will be activities and resources for schoolchildren to learn more about our seas and the fascinating marine life they support." Following months of consultation with the kite surfing community, the British Kite Sports Association (BKSA), Borough of Poole, Natural England and the RNLI, Poole Harbour Commissioners (PHC) has now launched a kite surfing permit scheme in Poole harbour. The £20 permit came into force on March 28 and moving forward all kite surfers must have a valid permit prominently displayed when kite surfing in Poole harbour. Over the years, PHC has opted for an educational and support approach, which included regular meetings with the kite surfing community and being involved in the setting up of the Poole Kite Surfing Club and the creation of a Code of Practice. This went some way to improving the safety of the sport. However over recent years popularity has increased and accidents have occurred, therefore greater regulation was deemed necessary. The Wave 105 Cash for Kids team have launched its annual ‘Easter Appeal’. From Monday March 24 until Friday April 11, the charity is asking for listeners to donate an Easter egg to various drop-off points across Dorset for disadvantaged children. Wave 105 Cash for Kids charity manager, Gloria Hill, said: “This is the fourth year of running our Easter Appeal and last year we were able to distribute more than 2,000 eggs to disadvantaged children. An Easter egg might not seem like much, but for a child who would otherwise not have had a treat at this time of year it can bring a huge smile to their face, and a little bit of joy. Hopefully with the help of our listeners we’ll be able to deliver even more eggs this year. Chestnut Nursery is a project of SWOP (Sheltered Work Opportunities Project) which is a registered charity. The project provides meaningful work in a supportive and pressure-free environment, for adults with severe and enduring mental illness. Chestnut is a retail horticultural nursery selling a large range of shrubs, perennials, bedding, fruit trees, compost and local honey. They are holding their first Spring sale on Saturday 5th April when there will be reduced plants, stalls and refreshments. The Dolphin Shopping Centre will be alive with action on Friday morning (March 21) in celebration of Sport Relief. In association with Everyone Active Leisure Centre and the centre’s dedicated bicycle shop, Cycle Paths, shoppers will be able to make the most of the energetic charity fundraiser and participate in an array of sporting activities. From rowing, to cycling and live Zumba classes, there will be something to suit everyone’s needs, no matter what their fitness level is. The Dolphin Centre management team will also be getting in the spirit, participating in the sporting activities and collecting money for Sport Relief. As well as the fitness fundraising, at 11.30am there will also be a light-hearted mascot mini-circuit challenge between Poole Town FC’s Dylan the Dolphin, the shopping centre’s dolphin mascot and Everyone Active’s bumble bee. Travel between Poole town and Hamworthy is set to be disrupted at the end of the month when the Twin Sails Bridge closes for its annual maintenance and repairs. The Borough of Poole have announced that the bridge, along with Rigler Road, will be shut to vehicles, cyclists and pedestrians from 7am on March 31 until 7am on April 7. During February half term an empty unit at the Dolphin Shopping Centre was brought back to life with more than a quarter of a tonne of recycled materials thanks to local families. In a bid to position its commitment to sustainability, the Dolphin invited children to help create an environmentally-friendly Eco Lounge whereby free activities and crafts where on offer. Throughout the week more than 750 children were inspired to be green and get creative with recycled materials from building bottle furniture, producing purses from milk cartons, wallpapering with magazines, to creating toilet roll puppets and making paper plants. Centre manager John Grinnell, said: “We have received fantastic feedback following the Eco Lounge event. Not only was it free and meaningful, but it meant parents could let their children get involved in a fun, messy activity that was out of the home. T he Dolphin shopping centre in Poole has recognised how the mobile phone world is transforming the way people communicate and has created a mobile app to keep up with demand. The centre sees thousands of visits to its website through mobile devices and saw the app as the natural development in its communications. The free app has interactive content and promotional offers to engage local shoppers. It connects users to all of the upcoming events taking place at the Dolphin, as well as featuring an interactive map. Poole Harbour Commissioners (PHC) has awarded its first competition winner a Go-Pro Camera. Poole-based, Craig Fascione, submitted a fantastic action shot of H20 kitesurfer, Jordan Hurst, in Poole Harbour for the first category of PHC’s photographic competition. The team at the Dolphin shopping centre has chosen Poole’s Sea Rangers as its nominated charity for 2014. The Sea Ranger Association is an organisation for ages nine to 21 which aims to get girls involved in a number of water-based activities such as sailing, rowing and canoeing. The Dolphin centre will donate all funds collected from its organised charity events in a bid to not only raise awareness of the Sea Rangers but to also help achieve their aim of raising money for a new safety boat. The Met Office has issued further weather alerts, this time an Amber Alert for the South West as another storm heads our way. The previous storms have left a trail of destruction in their wake, including some unusual objects deposited on the beach at Sandbanks. Whilst you wouldn't be surprised to see a buoy on the coast, to actually bump into it on the beach, well that's different! A large red marker buoy was washed up onto the beach at Sandbanks during the last storm as a result of the high tides and winds. F urther down the beach by the Haven Hotel, the power of the sea and wind can be witnessed by the large tree trunk that has appeared on the concrete jetty .... wonder where that has come from! The Borough of Poole and the Dolphin Shopping Centre have come together to host an exclusive gallery event to showcase the people living and working in Poole. The images have been created by students studying for a BTEC extended diploma in art and design from Bournemouth and Poole College. The artistic portraits, captured by the students, include iconic Poole settings and events including Poole Quay, Poole Park, Remembrance Sunday, fireworks night and the lantern parade. The college, Borough of Poole and the Dolphin Shopping Centre will be a hosting a private viewing of a selection of the photos on Monday February 10 from 6.00pm to 8.00pm in the former Early Learning Centre, in the lower mall of the Dolphin Shopping Centre. The Mayor of Poole, Councillor Philip Eades, will open the event and Nick Day, head of art and design at the college, will talk about the project. John Grinnell, centre manager of the Dolphin Shopping Centre, will also say a few words about the collaboration. Tower Park-based motor dealership, Breeze Volkswagen is searching for a rising star of the future as part of the 2014 Rock Star Awards. As sponsor of the Rising Star of the Future Award, Breeze Volkswagen is looking to acknowledge an outstanding employee, aged between 16 and 26, of any Dorset-based company and is encouraging employers or colleagues to put forward their nominations by Saturday March 1. The winning employee will be recognised for achievements in the early stages of their career and for their contribution to the company they work for. An employee that stands out from the rest by displaying great ambition, innovation and drive to become leaders of tomorrow will be crowned the winner. Entry is free and nominations are invited by colleagues and managers that are working with someone they feel are a rising star. The Award entry will need to detail why the nomination is being made, for example ways they have benefited the business, new ideas or initiatives they may have introduced, examples of excellent customer service and any instances of simply going that extra mile. John Corderoy, managing director at Breeze Volkswagen, says: “We are delighted to sponsor the Rising Star of the Future Award. This category is an excellent way to find and celebrate driven, committed and passionate individuals who are ensuring a bright future for themselves and the business they work for. Brace yourselves for the biggest St Patrick’s Day celebration on Sandbanks. On Monday 17 March 2014, the Haven Hotel is excited to announce that they are hosting an Irish Hooley to help raise donations for Wave 105’s charity, Cash for Kids. Cash for Kids, provide grants to individuals as well as other local charities with one goal, to help ensure that the basic needs of Children across the region are met. They firmly believe that in this day and age, no child should go without their basic needs and are committed to supporting children on the South Coast under the age of 18, who are financially, socially, emotionally or physically disadvantaged. All profits made from ticket sales for the ‘Hooley at the Haven’ event will be donated to the Cash for Kids charity. Not only this, on the night there will be a silent charity auction as well as a “guess how much gold is in the pot at the end of the rainbow?” competition. On arrival, guests will be greeted with canapés and our very special Black Velvet cocktail. Throughout the evening, there will also be a buffet, serving traditional Irish culinary delights and live non-stop music from local band ‘Celtic Confusion’. They will be taking to the stage to perform lively, foot tapping Irish folk music to get you in the mood for line dancing all night. For beginner dancers, there will be lessons provided to get you dancing the traditional Irish way. This event is the first of an extensive calendar of events by the FJB Collection in support of their new charity partner, Cash for Kids. This lively event is not to be missed! It will be held on 17 March 2014 at the Haven Hotel on Banks Road, Sandbanks. Doors open at 7.00pm, tickets are £30 per person with all profit from ticket sales going to Cash for Kids. Pre-booking is required, please call 0800 48 400 48. Guests are invited to wear something green! Poole Harbour Commissioners’ (PHC) Port of Poole Marina has been voted the UK’s second best marina of the year at the 2014 London Boat Show. The marina was shortlisted among three other finalists in the GJW Marina of the Year competition which was organised by The Yacht Harbour Association to celebrate customer service in the marina sector. Nominations were open to all UK marinas that have a Gold Anchor rating and winners of each category were determined by a panel of independent judges who decided the finalists based solely on customer feedback. Poole Harbour Commissioners (PHC) and the Bournemouth Daily Echo are continuing to celebrate Poole’s vibrant harbour by launching its second photographic competition category dedicated to the harbour’s winter wildlife. PHC and the Echo are encouraging readers to submit their wildlife photographs by February 8 for the chance to win a return trip to Gijon or Santander for two passengers, plus a car and cabin, courtesy of LD Lines. Poole’s spectacular harbour is a wildlife hotspot and never more so than at the coldest time of year. The return of the popular photographic competition will focus primarily on Poole harbour through the winter months and will run until March with different categories used to entice readers to submit their photos. A prize will be presented to each category winner and the remaining two categories consist of photography professionals and photographs taken by under 21’s. Jim Stewart, chief executive of the Poole Harbour Commissioners, says: “Poole Harbour is a haven for wildlife during the winter. There is a really good variety of birds from wintering waders including avocet to visiting waxwings from Scandinavia. The Dolphin shopping centre in Poole has been voted the top ‘Family-Friendly Shopping Centre’ in a reader’s survey set up by Primary Times magazine. The prestigious Primary Times Reader Star Awards was set up recognise the most family-friendly destinations and attractions across Dorset. The accreditation follows a survey that parents of children aged four to 11 across Dorset were asked to complete in October 2013. Commenting on the award win, John Grinnell, centre manager at the Dolphin shopping centre, said: “I am over the moon with our award win that confirms Dolphin shopping centre is a great place for families. We work hard to ensure that everyone who passes through our doors each year has a fantastic shopper experience, whatever their age. As well as topping the shopping centre category, the Dolphin is also thrilled to share its good news with its resident bike shop, Cycle Paths, who was voted the readers most favoured bike shop in the region. Ricochet, the only support group for parents of gay children in Dorset, will hold its next monthly meeting in Hamworthy, following its move from Dorchester. The meeting will take place on Saturday 1 February, in the afternoon. Both fathers and mothers from across the county attend the meetings, a private time to share concerns over tea and coffee with people in the same situation. Topics covered include how to tell friends and family, how others may react to the news and gay boys' and girls' chances of becoming parents themselves. LD Lines pledges support for Whale and Dolphin research in the Bay of Biscay. LD Lines, a leading European ferry and freight company, who have recently started new ferry services from the UK (Poole) to Spain (Santander and Gijón) and Ireland (Rosslare) to France (St Nazaire) and Spain (Gijón) has offered it’s help to the marine conservation charity MARINElife. MARINElife has been given access to three routes aboard the Norman Asturias with all three, Poole to Santander, Poole to Gijón and Gijón to St Nazaire, going through the heart of marine-life paradise: the Bay of Biscay. MARINElife research has demonstrated that the bay, located off the coast of western France and northern Spain is a hotspot for many whale and dolphin species. MARINElife has been researching and surveying this vibrant area of ocean since 1995 and the support of LD Lines has ensured the conservation effort can continue. The Bay of Biscay is especially important to a vast diversity of marine-life because beneath the waves of the bay, there are many deep water cliffs and canyons which create concentrated areas of food such as fish, squid and krill which in turn attracts larger marine mammals and seabirds. The Blue whale, the largest animal on the planet, is known to visit the area for feeding as well as many other species of whale and dolphin including the rarely spotted Beaked Whales. Adrian Shephard from MARINElife said: “These ferry routes give MARINElife the opportunity to expand our vital conservation research in an extremely productive area for whales and dolphins and we deeply appreciate the assistance LD Lines have provided”.A spokesman from LD Lines commented: “We are delighted to be supporting the inspirational research work of MARINElife via our UK – France – Spain services which traverse the Bay of Biscay. The vital conservation work they undertake will be extensively promoted on board as we are certain this will be of enormous interest to many of our travelling passengers”. Conservation research is so important because many species of marine mammals remain threatened due to the pressures from environmental changes, over-fishing, whaling and marine pollution. MARINElife’s monitoring work is helping understand the changes in populations that are occurring and what action can be taken to safeguard their future. Lemur Landings voted Dorset’s favourite Indoor Play Centre for 2013. The results from the prestigious Primary Times Star Awards for 2013 have been revealed and Lemur Landings has been voted as Dorset’s favourite Indoor Play Centre for 2013, landing the award for the 2nd year in a row. Parents were asked to complete a survey that appeared in family friendly magazine, Primary Times. This award for Lemur Landings, one of the county’s largest soft play centres, follows on from a recent award as the Netmums South West’s favourite Soft Play venue for 2013 in the Netmums National Soft Play Awards. Situated on Bournemouth and Poole’s premier entertainment complex, Tower Park, Lemur Landings is an empire of soft play for the Under 12’s; with a massive multi-level play frame; consisting of a multi-slide, bridges, tunnels, ball pools and cannons; a dedicated area just for toddlers; a super sensory area for the under 5’s and a climbing wall, children can run riot in a stunning environment whilst parents relax in the café. If you would like further information on Lemur Landings please call 01202 740500 or visit the website www.lemurlandings.co.uk. Staff and shoppers were evacuated from stores in Poole’s Falkland Square this afternoon, following a security alert. Police cordoned off part of the square outside the WH Smith store, adjacent to the railway crossing, after reports of a suspicious package, it is believed. Poole Trail is a permanent mobile-friendly trail for visitors and residents to enjoy, brought to you by the Borough of Poole in partnership with Poole Museums and supported by Poole Pottery. This cutting-edge scheme has created a whole new way for people to explore the town and its history. Inspiration for the Trail came from Borough of Poole Museum Service, whose collections and resources reveal the amazing stories that Poole's buildings, streets, open spaces and Harbour have to tell. As well as great archaeology, art, pottery and social history, the Museum collections include archive film footage, oral history recordings and historical photos which illustrate and tell these stories. Through these stories the Museum Service wanted to provide visitors and residents with an open air museum where they could find out more about Poole's historic buildings, its natural environment and local attractions such public art-work. Working with other Borough of Poole services, the Museum appointed City-Insights, a company that specialises in mobile internet, to create a practical way of making these stories available to the person in the street. City-Insights developed an approach for Poole which links street signage, information panels, a simplified street map, a mobile-friendly website and an expandable behind-the-scenes database of archive material. The team developed over 40 stories connected to 11 More to Explore signposts around Poole Quay, Old Town and Harbourside Park. The stories use short, edited clips of material from the Museum Service's collections that can be downloaded and enjoyed on a mobile phone while standing at the right location. The stories cover all topics from notorious smuggling gangs to Britain's first Boy Scout camp on Brownsea Island, and can be explored via the website or by walking from More to Explore signpost to signpost. Rather than being a set route, Poole Trail is a series of related locations that you can visit in any order you wish, at any time you chose, coming across stories as you discover the town, and make your own trail.